Starting from jQuery 1.9.0, jQuery does not recommend to use attr() to get any boolean attributes any more. If we use attr() to get checked attribute, jQuery will return undefined. To fix this issue, just following jQuery’s recommendation to use prop() to get boolean attributes. Finally, this is list showing when to use attr() and when to use prop(), hope that it is useful for you. 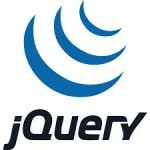 1) The jQuery prop() grabs the specified DOM property whereas attr() grabs the specified HTML attribute. 2) The jQuery prop() method returns boolean value for selected, checked, readOnly, disabled and so on while attr() returns a defined string.